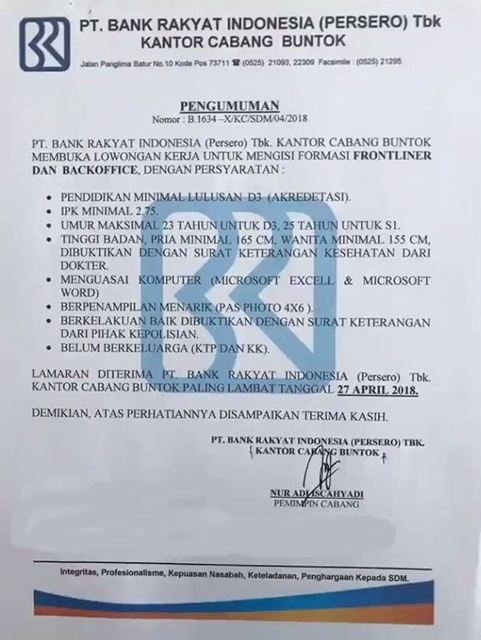 cdcindonesia.com - The morning spirit of all job seekers, the following job vacancy information coming from one of the leading banks in Indonesia, namely:PT Bank Rakyat Indonesia (Persero) Tbk - Bank BRI (IDX : BBRI) is a reputable and trusted state-owned bank in Indonesia. Based in Jakarta, Bank BRI has strong business competencies on serving and empowering micro, small, and medium enterprises (MSME’s) segment. 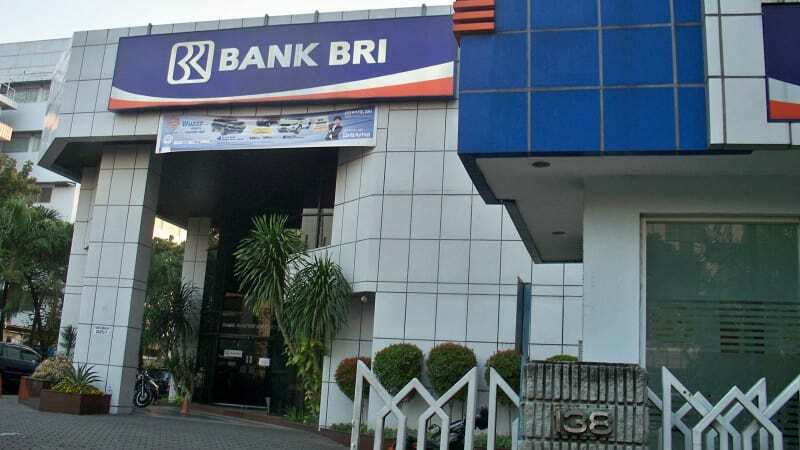 Bank BRI is widely known nationwide as one of the oldest banks in Indonesia. Bank BRI was first established in Purwokerto, Central Java by Raden Bei Aria Wirjaatmadja in 16 December 1895 and initially registered as as De Poerwokertosche Hulp en Spaarbank der Inlandsche Hoofden. Bank BRI is a state-owned bank and is controlled by the Government of Indonesia. As today, Bank BRI is 56.75% owned by the Government of Indonesia and 43.25% by general public and investors. Minimum Associate Degree (D3) with minimum GPA of 2.75 (accredited). Maximum age of 23 years old for D3 and 25 years old for S1. Minimum height of 165 cm for Male and 155 cm for Female as evidenced by notice letter of health condition from doctor. Computer literate (Microsoft Excel and Microsoft Word). Well behaved as evidenced by SKCK. Single/not married (ID Card and KK).